Better WiFi. In Every Room. 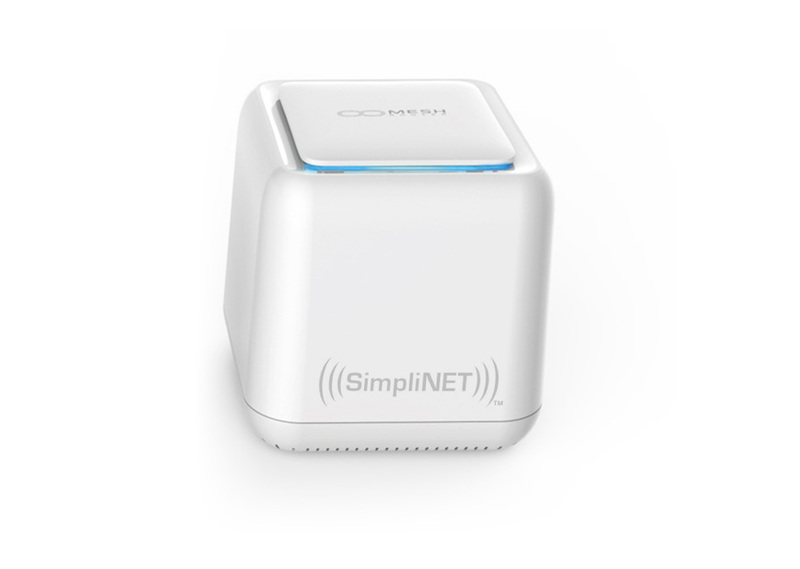 Install the SimpliNET Mesh WiFi System and say Goodbye to dead WiFi zones. 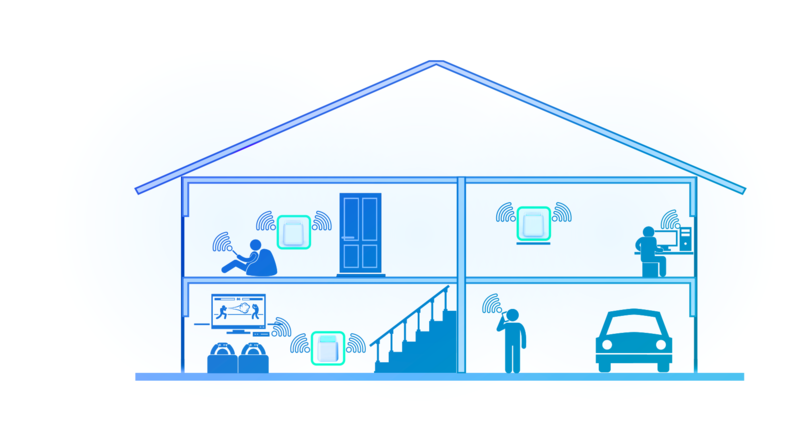 Flood your entire home with fast, strong, reliable WiFi. 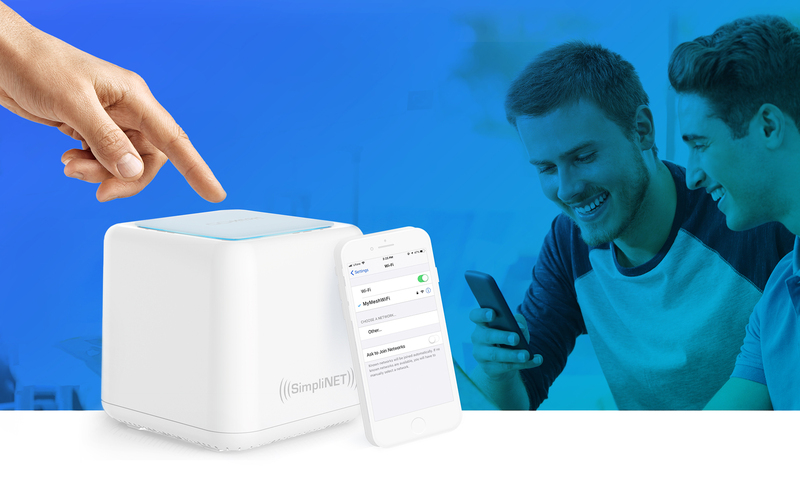 The SimpliNET Mesh WiFi router and Mesh WiFi Range Extenders work together to bring you a strong, fast and reliable WiFi signal throughout any size home. 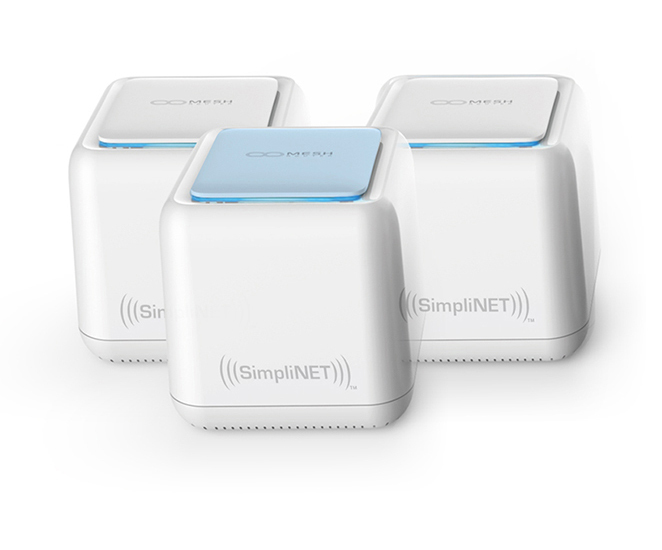 With four ihigh-gain beam-forming antennas inside each SimpliNET unit, the WiFi signal can travel seamlessly through walls to give you WiFi coverage everywhere you need it. Password-free WiFi connection for your guests! 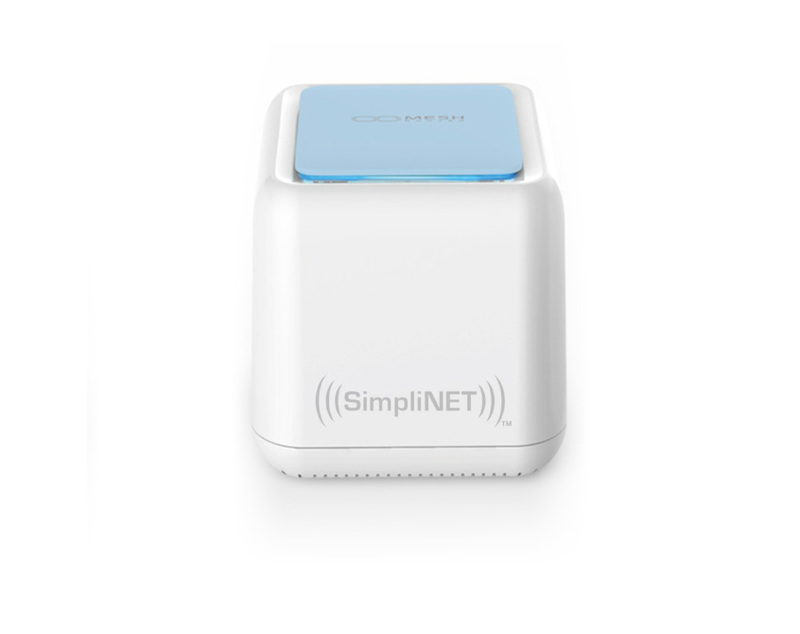 SimpliNET GuestLink - Simply touch the top of the Router or Range Extender to allow a guest to temporarily connect to you WiFi, without revealing your password. 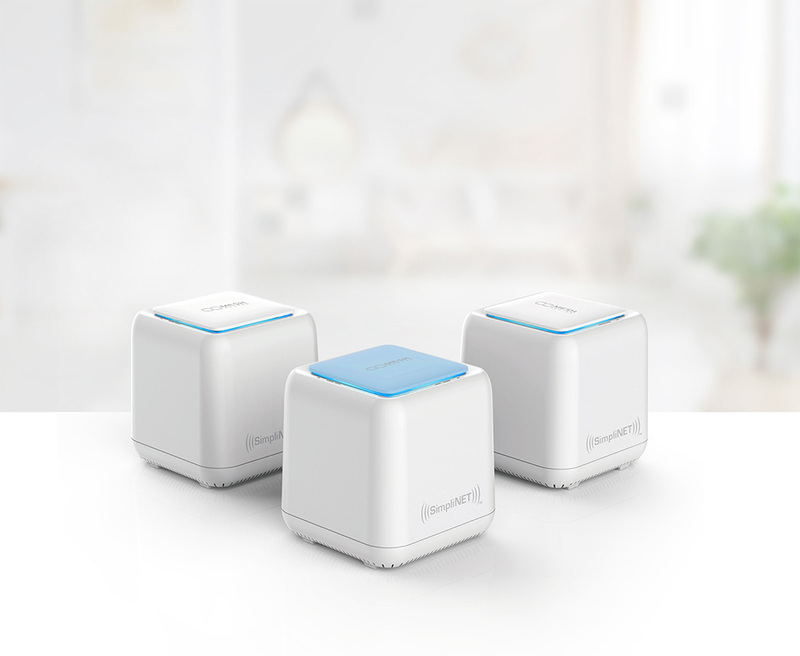 The set of SimpliNET Mesh WiFi Router and 2 Range Extenders, when strategically placed, will provide excellent WiFi coverage for homes of up to 3000–5000 sq. 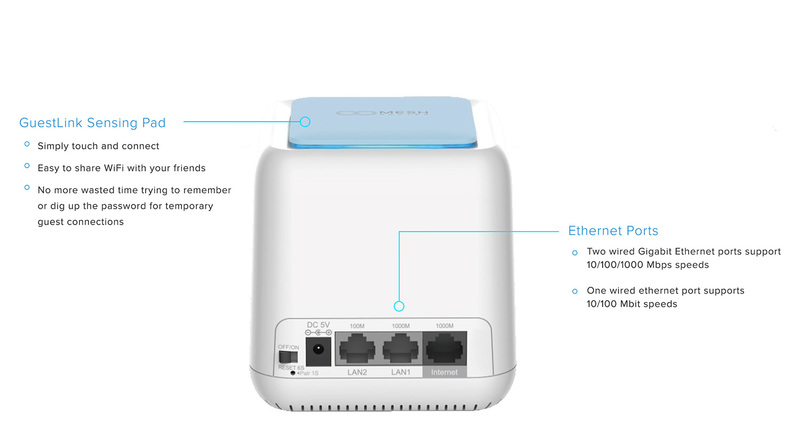 ft.
Each Router and Range Extender includes an Ethernet cable, Power adapter and Quick Start Guide.